1 What is Aruba Hosting? Aruba is one of the largest web hosting company in Eastern Europe and Italy. The company was established in the year 1994. The company offers security and web hosting services all over the Europe. It holds a specialization in offering services to the Eastern Europe region. Aruba has a very vast hardware network. It has six data centers and hosts 20,000 servers all over the Europe. This makes Aruba hosting quite popular. Aruba web hosting covers almost all web-based services. If you have a look at the Aruba web hosting reviews available online, you will find that the company offers reliable services, from email to cloud without any hassles. Read this Aruba hosting review to know more about the services offered by them in detail. Aruba reviews from happy customers hint that the company is doing a great job in offering remarkable services to their clients. Regarding the Aruba shared hosting services provided, the company does an excellent job offering both Windows and Linux hosting services. Both these services are offered at the same price. Several packages are also offered by the company. The most appropriate Aruba shared hosting package can be chosen based on the requirements. For some people, the basic package seems to be more than sufficient. However, for others, high-end packages seem appropriate. All plans are offered with unlimited traffic volume and disk space. However, there exists a difference in the bandwidth and number of database. A unique solution offered by the company is the shared service which includes both Windows and Linux hosting. The users are offered two types of operating system. It is up to the users to choose the domain for the purpose of hosting. This proves to be a wonderful option for those who are operating on Windows server and may require a transition to the Linux server in future. Aruba also offers dedicated services. However, the configurations vary. Two options are offered about the bandwidth. The users can choose the services based on the bandwidth they desire. Websites that experience huge traffic would love to opt for a faster speed and higher bandwidth. There is also a provision to upgrade the service anytime. The company offers quality cloud services, such as VMware and Hyper-V. The charging is done on an hourly basis. There is also a provision to purchase the cloud server and being charged hourly. However, Cloud VPS is offered on a monthly basis. There is a scope for proper consultation for other related services. Aruba offers a plethora of domain services beyond the transfer and standard registration process. The company also acts as a broker between a client and the people who have put domains for sale. Aruba provides backorder services to people who want to acquire domains that are going to expire soon. Personalized management is offered by Aruba along with those who hold several domains. Moreover, combined Aruba email and Aruba domain deals are offered to those who do not require a website. It is worth opting for Aruba WordPress services, as creating blogs cannot get easier than this. If you are new to WordPress, it cannot get any better than receiving services from Aruba. Aruba WordPress services are reliable, and there is no hassle to install WordPress when you opt for the hosting services offered by the company. Just choose the plan, domain name, and register for the services. The quality of hosting service offered is safe, reliable, and simple. Aruba offers live chat and telephone support 24/7. There are direct lines for the cloud, shared, e-security and dedicated services. They offer online guides and ticket system for the convenience of their clients. Moreover, they offer support in Spanish, English, and Italian. Aruba contact details can be obtained from the support section on the official website of the company. Aruba support is appreciated by many but it is not always the case. I have shared my personal experience with them in this Aruba review. Seriously, it was a bit disappointed as they claimed to provide 24/7 support. How could Aruba claim their support to be 24/7 available since they are not? In fact, they are not always available all the time. Besides, there was only one department for me to select – data recovery department. I had questions regarding technical aspects and they seem did not have the correct department available during the time I was requesting for the support. Moreover, the worst thing was no Pre Sales Consultant available. This can be the biggest drawback if they intend to attract new customers. 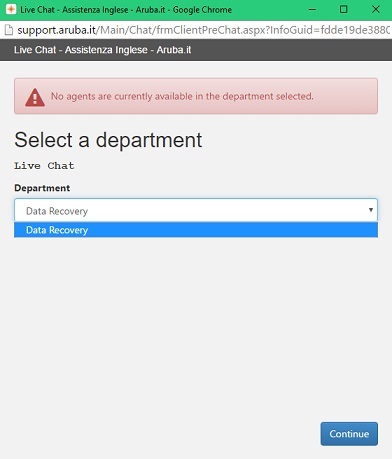 I decided to check the Aruba live chat support one more time as in my last trail I didn’t get satisfied response from them. Before testing their live chat, I opened the stop watch to check after how much time their representative replied to me. I clicked on their live chat button and entered in the chat room. I got first message from one of their personnel in just 35.47 seconds which was fast. I wanted to clarify my all queries which I had in my mind. The person who communicated with me was N.Daniele and he answered my all queries on time and in polite manner. But during our conversation, he gave me a link and asked me if you have more queries you contact here https://assistenza.aruba.it/en/sales. I was feeling very bad as I had some more questions to ask but he wrote this message and ended the chat session. Overall, their live chat improved a bit but because of their personnel behavior, I rated him 7 out of 10. Mike Lee: Hi, my name is Mike Lee and I have few questions about the Aruba hosting services. N.Daniele: how can I help you? 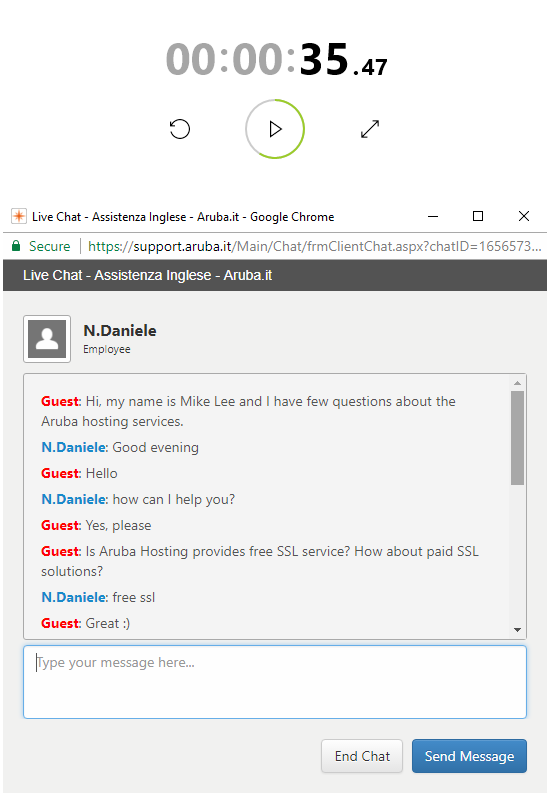 Mike Lee: Is Aruba Hosting provides free SSL service? 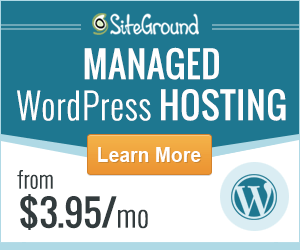 How about paid SSL solutions? Mike Lee: Can you tell me the charges? Mike Lee: Is Aruba Hosting offers Dedicated IP solution? Mike Lee: What type of control panels being used in both Linux and windows hosting plan? Mike Lee: Any hosting plan that supports unlimited website? N.Daniele: Have a nice evening sir! The company has an impressive network. They have one data center in the Czech Republic and two in Italy. They have partnered with other companies for running data centers in Germany, the United Kingdom, and France. The company manages 20,000 physical servers and hosts many websites without any hassle. Hundreds of people have already been employed by the company and they work from various locations in Europe. Aruba uptime guarantee is what makes their services lucrative. The data centers add to what Aruba claims regarding their speed. An uptime guarantee of 99.95% is offered on all the hardware. However, no official information is available on the Aruba status and Aruba down time. Aruba hosting company claims to provide SLA uptime guarantee of 99.95% but this information is not written on their official website. So I first confirmed their uptime from of their employee through live chat and after that, I checked their uptime stats. As users can see in their above image, Aruba didn’t accomplish their given target in 6 out of 8 months. 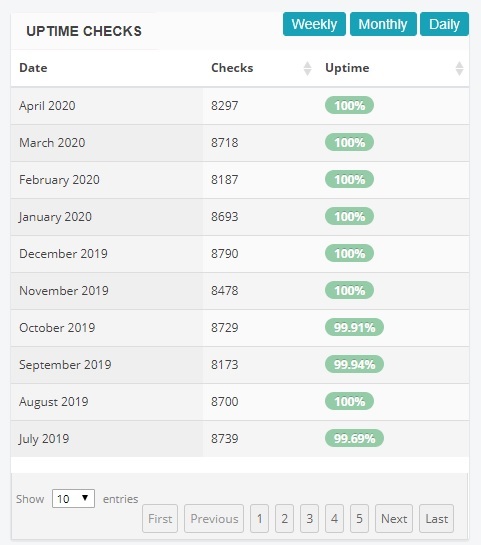 The uptime stats performance of this company is unsatisfactory and this company needs to improve their uptime if they want to increase their clients. Overall average of Aruba comes out at 99.88% which is okay. 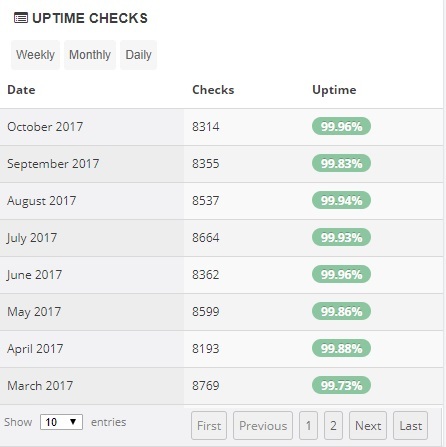 Note: I update this Aruba uptime stats regularly, do bookmark this page if you are interested in checking their uptime performance again. Uptime stats of Aruba is not so good so I planned to test their server speed as I heard a lot about their speed. I conducted a test on Aruba website server by pinging my own personal website which is hosted on this company. I checked the server speed of Aruba from eight diverse locations which are US (E), US (W), London, Singapore, Sao Paulo, Bangalore, Sydney and Japan. I found that this company has a good server performance and scored A in October 2017. Image of server response speed test is also attached so that users can see the result by their own. Aruba offers several services for all no matter one is a beginner looking to host a blog page or one runs an established business. Aruba is the first choice of many people living in Eastern Europe. Daily backups are offered for shared hosting services. Anti-spam, anti-virus, remote control software and firewall hardware are also offered. Monitoring of the cloud servers is done 24/7. In addition to a plethora of features offered, the cloud systems can be hosted on redundant data centers which add to the reliability of their services. In conclusion, although their customer support is not impressive enough, Aruba is still a good choice for web hosting solution. Compare Aruba With Our Top Ranked Web Hosts!